Secret Language is Neil Williamson’s first collection in ten years, but it has been worth the wait. A regular contributor to magazines such as Interzone and Black Static, Williamson’s short fiction has gained plaudits from critics and readers alike. In 2014, his debut novel The Moon King appeared to great acclaim. It was runner up or the BSFA Award for best novel and shortlisted for the Holdstock Award. 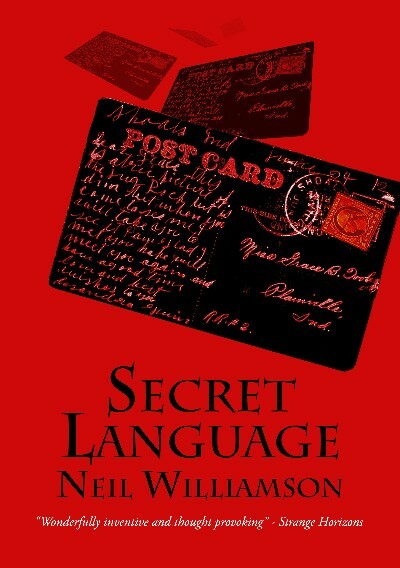 Secret Language gathers together sixteen stories, four of them written especially for this volume, that demonstrate why Neil Williamson is one of genre fiction’s finest writers. The BSFA shortlisted story “Arrhythmia” provides just one of the highlights in this exceptional collection. Available as a signed limited edition hardback, limited to just 100 copies, a paperback, and eBook.